In fact, there were a lot more babies than the ones in that picture. Think of a number that would be a lot of mouse babies, but not so many that you would lose all respect for me and start picturing me as a crazy mouse hoarder: that is how many mouse babies there were. The father of every baby was my secret sneaker male, Porter. Porter is also the freelance science mouse from a few weeks ago. I figured that after I supported all of his babies, he owed me that. Porter now lives alone. Sorry, Porter. You couldn’t be the luckiest male mouse in Berkeley forever. Where does that solid color come from? Why is the middle one speckled black? 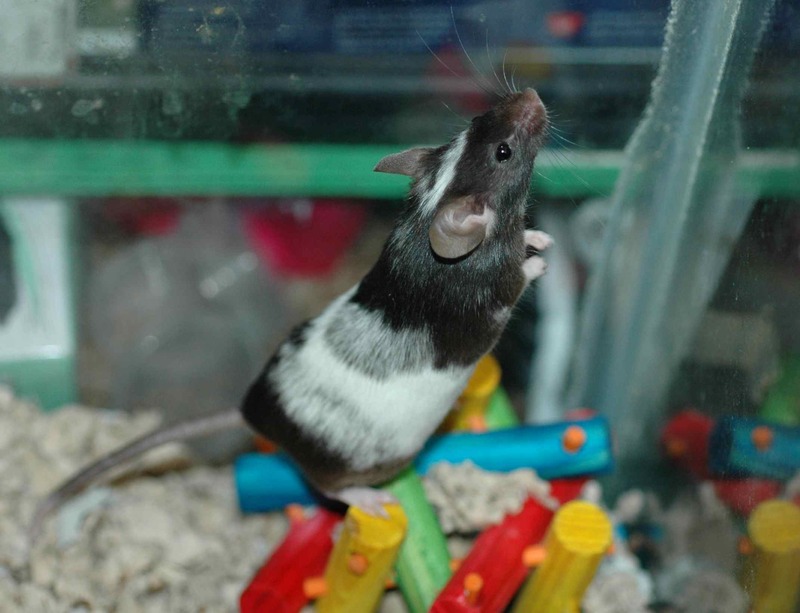 Now, there are people who know a lot about mouse genetics—there are mouse geneticists and mouse hobby breeders—who could explain this, pointing out that many genes influence color and interact with each other in complex ways. They could look at these photos and hypothesize genotypes. Mouse color is largely not a mystery. But that is because people have spent years setting up mouse crosses and documenting them. Most genetic work isn’t done with the luxury of that kind of knowledge base. 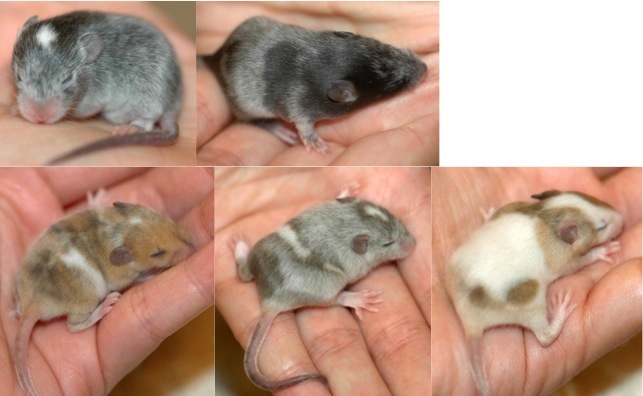 If you didn’t know how mouse color genetics works, wouldn’t the colors of these mice this be a very difficult puzzle? 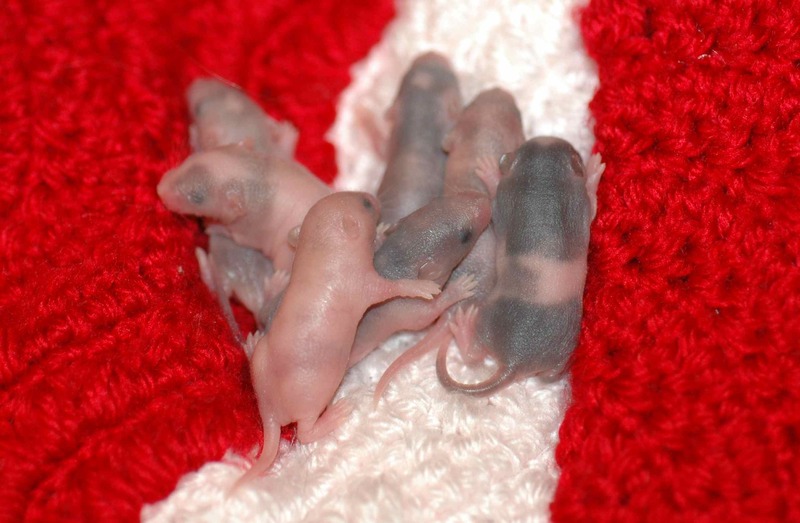 Well, then, allow me to show you some more baby mouse pictures! Seven siblings: all completely different from each other, and five completely different from both parents. That’s genetics. And yet, despite all that complexity, sometimes papers come out like Weber et al.’s (2013). In that paper they found that the differences in burrow construction between two species of mice were genetic, and that if you hybridized the two species, the hybrids built intermediate-type burrows. Moreover, they managed to locate where on the genome the controlling genes were, and found that burrow length was controlled by one set of genes, while escape-tunnel-building seemed to be controlled by a single other gene. Not only did they manage to link traits to genes, but they managed to do that with traits that were behaviors! Genetics is complicated, and that makes it all the more satisfying when someone manages to solve part of the puzzle. 1. Domestic mouse coat color is probably not a very good model for most traits. 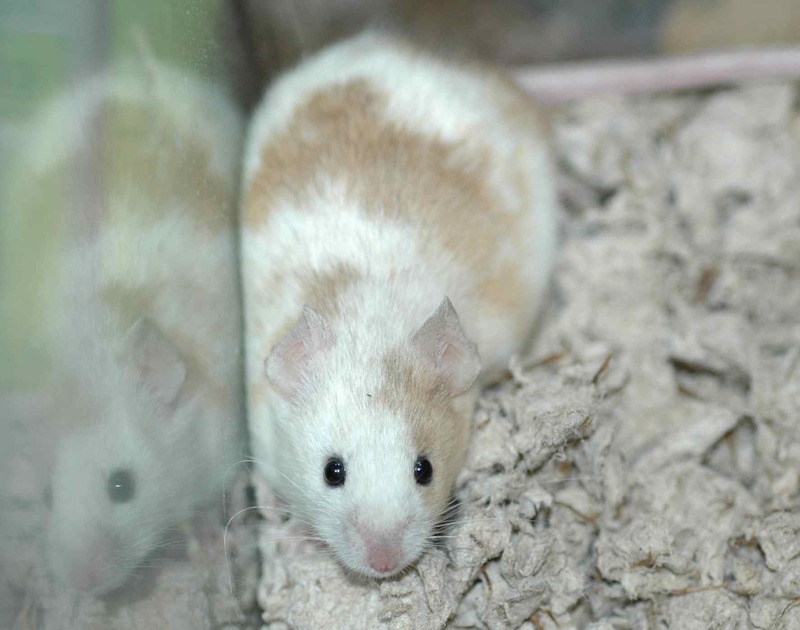 My pet mice come from mice bred to be reptile food (I don’t feed them to anything; but that’s what the pet store breeds them for), so coat color is not under any selection that I know of. Almost any trait in nature would be under selection, so the variation would probably be less than is seen in the colors here. 2. 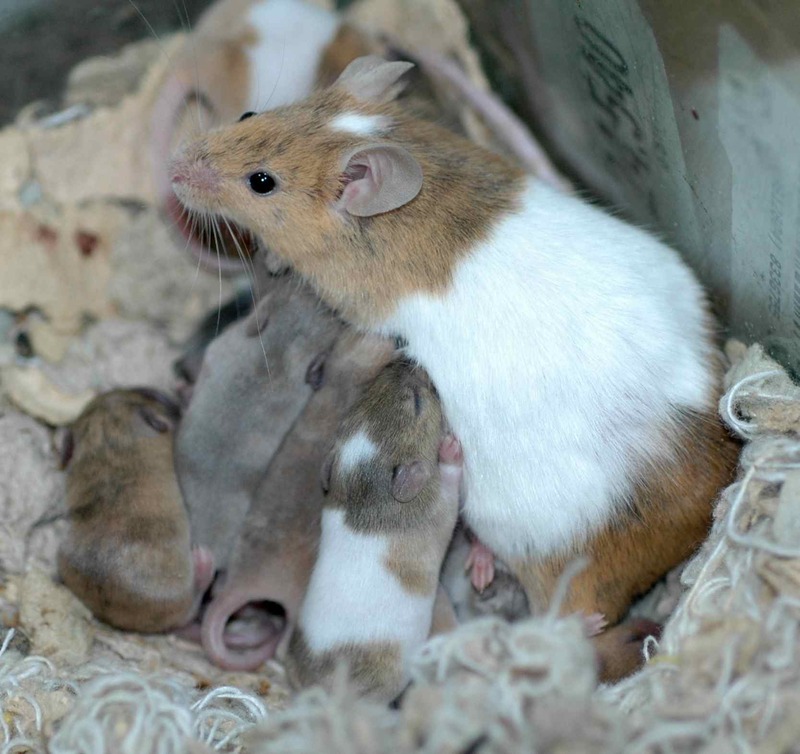 The baby mice are adorable, and the experience has been a lot of intellectual fun for this biologist, but: I do not recommend breeding mice unless you have a very real reason. There are decidedly unpleasant aspects that I will not get into here. And at the end you have a lot of mice, and guess what? Nobody wants to adopt mice. You do not want to have as many mice as I now have. On that note: if anyone in the Bay Area wants to adopt a mouse, let me know! Weber JN, Peterson BK, Hoekstra HE. 2013. Discrete genetic modules are responsible for complex burrow evolution in Peromyscus mice. Nature 493:402-405. 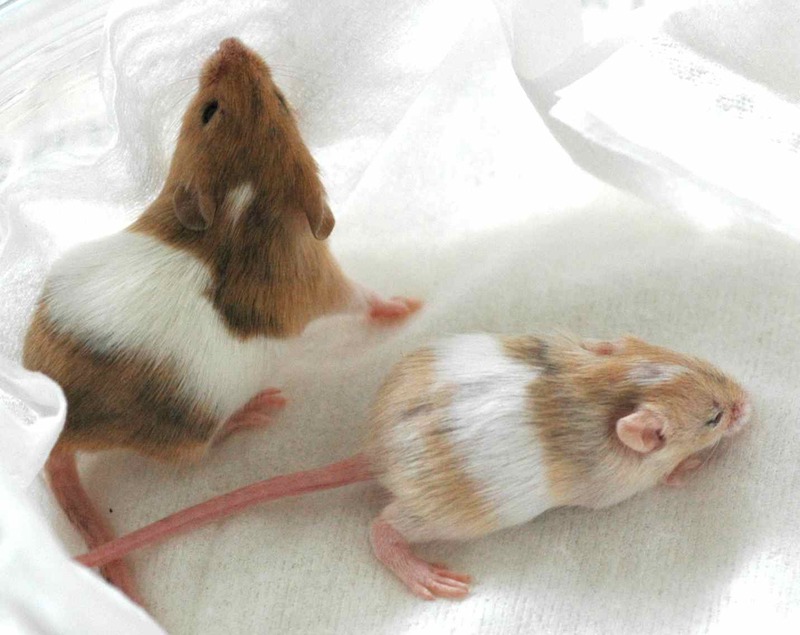 This entry was posted in miscellaneous, other people's research and tagged biology, breeding, cute, genetics, mice, Porter, science by toughlittlebirds. Bookmark the permalink. Very amusing! I never knew domestic mice looked so patchworked. Too bad wild varieties aren’t, too. It would be fun illustrating an oreo mouse for a change! I imagine it would all seem more intuitive, visually at least, if you raised several generations–which I am not recommending!